In a 1 quart casserole dish combine mushrooms, onion, garlic, green pepper, Italian seasoning, seasoning salt, pepper and parsley. Pour water and butter over mixture and cover. Bake in preheated oven for 40 to 45 minutes. 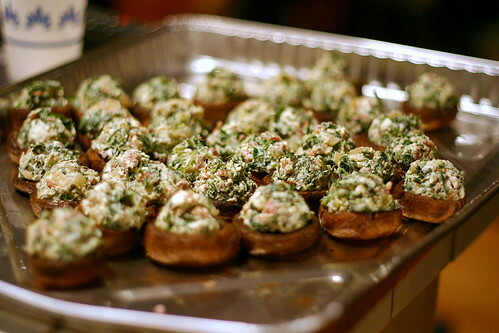 No comments for: "Baked Mushrooms Recipe"